Atlantic recording group Death Cab for Cutie has unveiled details of their upcoming fall tour. The dates – which celebrate the recent release of the band’s critically acclaimed new album, “CODES AND KEYS” – begin September 30th in Cincinnati and then continue through a major hometown headline show at Seattle’s Key Arena at Seattle Center on October 22nd (see attached itinerary). Furthermore, DCFC will also be among the headline acts appearing at Sunrise, Florida’s annual Langerado Music Festival on October 8th and San Francisco’s Treasure Island Music Festival on October 16th. Death Cab for Cutie will be accompanied on their upcoming schedule by an extraordinary range of special guests, including Telekinesis (September 30th through October 11th), Explosions In The Sky (October 15th), The Hold Steady (October 18th – 21st), and The Head And The Heart (October 22nd). Presale tickets for all dates except the previously announced Key Arena show will be available to members of the band’s official fan club, DCFC Union Local #1138, beginning Wednesday, August 3rd. All remaining tickets will then go on sale to the general public starting on Friday, August 5th. For further details and as-yet-unannounced tour information, please visit www.deathcabforcutie.com. Death Cab for Cutie are thinking over whether or not to hit the road with orchestral accompaniment for their next tour. Speaking with Billboard, guitarist Chris Wallaspoke on the possibilities—and difficulties—of taking a string section on the road. 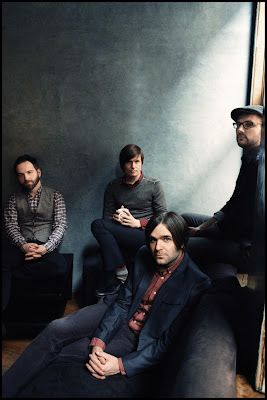 Death Cab will begin the second leg of their tour in Columbus, Ohio on July 27. 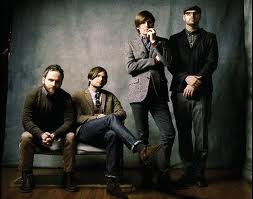 Atlantic recording group Death Cab for Cutie will celebrate the release of their eagerly awaited new album with very special performances at intimate venues in select cities across North America. “Codes And Keys” will arrive in stores and at all DSPs on May 31st. The tour begins May 18 at Toronto’s Phoenix Concert Theatre, followed by further stops in Chicago, Minneapolis, New York City, Washington, DC, Philadelphia, Boston, Los Angeles, and San Francisco (see attached itinerary). All shows will feature acclaimed band The Lonely Forest. A very limited number of pre-sale tickets will be made available to members of the multiple Grammy Award-nominated band’s official fan club, DCFC Union Local #1138, beginning Thursday, March 24 (Please note: being a member of DCFC Union Local #1138 does not guarantee ticket availability). Tickets will go on sale to the general public on Saturday, March 26 via local ticketing outlets. For information on joining DCFC Union Local #1138, please visit www.dcfcunion.com. All other news and information can be found at Death Cab’s official website, www.DeathCabForCutie.com where fans can also exclusively pre-order “Codes And Keys” and stream the full album in its entirety three days before its hits stores. The exclusive pre-order will begin today March 22 at 12pm ET/9am PT. In addition to the just-announced dates, DCFC will herald the album’s release with a series of live shows in and around their native Pacific Northwest. The shows–which will also feature Bright Eyes- includes a pair of Canadian concerts, slated for May 24 at Edmonton, Alberta’s Shaw Conference Center and May 25 at Calgary, Alberta’s famed Stampede Corral. DCFC will return to the US for a May 27 performance at Bend, Oregon’s Les Schwab Amphitheatre, followed by a May 28 headline appearance at the 2011 Sasquatch! Music Festival at George, Washington’s Gorge Amphitheater. Upon the conclusion of the North American itinerary, Death Cab for Cutie will cross the Atlantic for a much-anticipated European tour, including stops across Germany, the Netherlands, and the United Kingdom. A full series of North American headline dates is scheduled for later this year, with details to be announced in coming weeks. 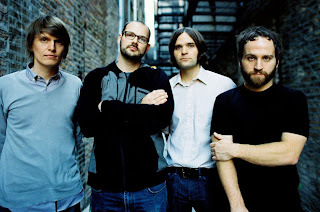 In addition, Death Cab for Cutie is scheduled to film an installment of VH1’s acclaimed series, Storytellers. Full details and broadcast information will be announced shortly.